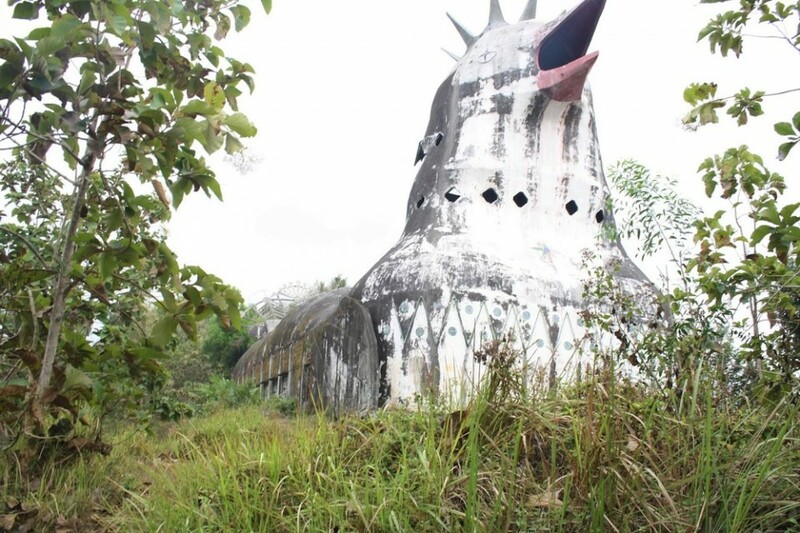 Reportedly inspired by a divine message, the architect of this poultry-shaped church initially set out to create a place of worship in the form of a giant dove, but the locals quickly dubbed his creation the Chicken Church (Gereja Ayam in the regional language). 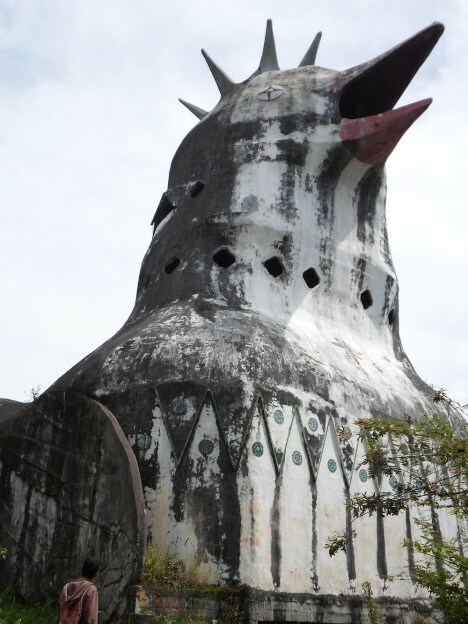 Indeed, despite the best intentions to craft it otherwise, it is impossible not to see a domestic egg-laying bird when looking at this open-beaked architectural creature. 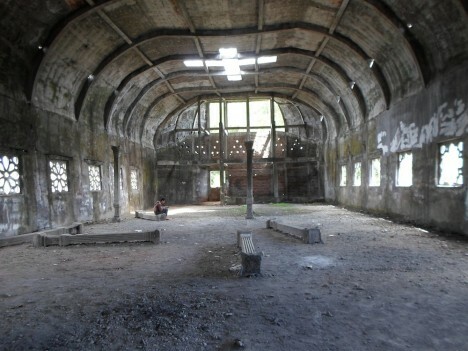 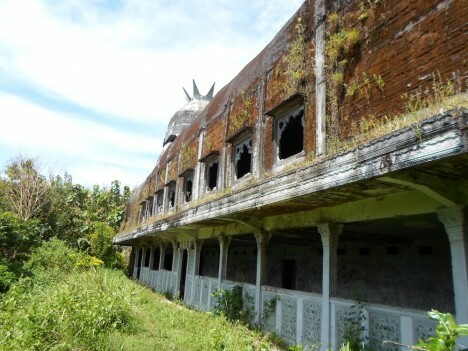 In a remote Indonesian forest, this creation of Daniel Alamsjah was once a place of prayer as well as a rehabilitation center for children and drug addicts, but finishing the building proved too costly and the place closed down over a decade ago. 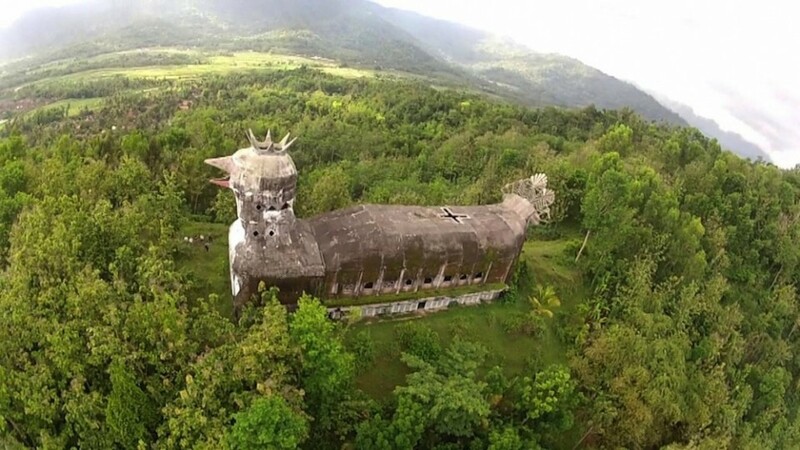 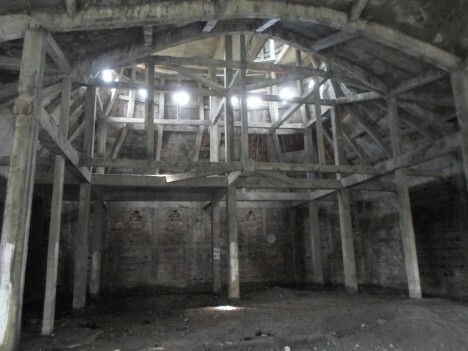 Covered in graffiti and crumbling at a structural level, the Chicken Church is likely not long for this world. 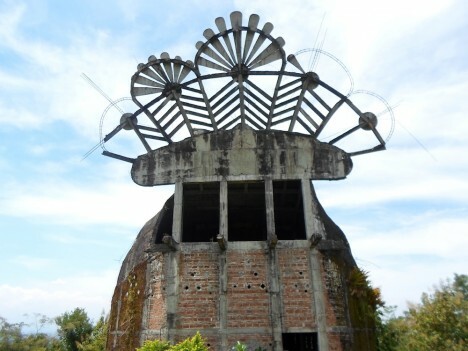 For now, though, travelers (sometimes with romantic partners) can be found inside at times, cooped up away from prying eyes, but eventually the building will doubtless be either demolished or perhaps simply collapse on its own (story via Colossal and images via uzone.id, Punthuk Setumbu and Alek Kurniawan).